When it comes to coffee, you can’t get much better than Costa. With their extensive range of coffees you are spoilt for choice, so whether you want a velvety flat white, frothy cappuccino or an energy boosting espresso, made lovingly by their expert barristers, you will never be disappointed.There’s nothing quite like a relaxing cup of coffee or a natter over a nice cup of tea and that’s why Costa is such a popular stop off point for people on their way to work, whilst out shopping or on a lunch break. With Pinga, you can now get your favourite Costa coffee without even having to go outside. If you’ve got a lot on a work and just can’t get out, our Pinga Partners can grab your coffee for you. If you have children running around at home but it’s a hassle taking them out, our Pinga Partners can grab your coffee for you. In fact, whatever your situation, let Pinga get your Costa and deliver it right to you. The system is amazingly simple. Just download our app, put out your Costa request and wait for one of our network of trusted Pinga Partners to respond to you. Once the details of your request have been checked, you can pay through the app and then carry on before your order arrives. With Pinga there is no minimum payment required, so you just order what you want, without worrying about paying over a certain amount. Our Pinga Partners are trusted and reliable, and will get your Costa request over to you quickly and with care. They enjoy getting a good sense of community and you get your favourite Costa delivered straight into your hands! And it’s not just Costa. If you want something to go with your coffee from somewhere else, no problem, that’s what we’re here for. Simply put the request through and our Pinga Partners will pick it up. Pinga love helping, but would love even more to have you on board with us. To help you get started today, here’s a closer look at our service and how everything works. Pinga delivers any items from Costa today. 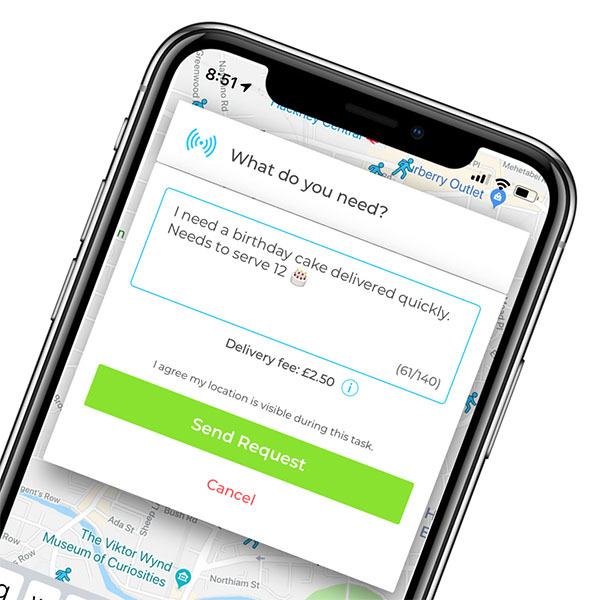 Infact our service normally delivers within an hour, so if you’re looking for same day delivers from Costa, send your request via the Pinga App. Describe what items you needs to be delivered from Costa and send your request. Pay securely within the app and receive your Costa items to your door!